Can Japan continue to thrive as an import-focused nation and what are the prospects like for nuclear power in the country? What alternatives have the Japanese government and its citizens proposed? What are the geopolitical implications of Japan’s energy future? Figure 1. Fukushima Nuclear Power Plant. Courtesy of Kawamoto Takuo, 1999, Wikimedia Commons. CC BY 2.0. Japan has emerged from the tumult of the mid-20th century as one of the world’s leading economic and cultural powerhouses. Japan does not currently have access to any significant fossil fuel source, so they must import most of their oil from other countries.2,3 Japan’s crude oil imports have recently decreased,4 but this does not necessarily signal a shift away from imports, rather, the country’s declining population size and overall lower energy consumption appear to serve as better explanations for this phenomenon.2,4 Nuclear power has been considered an alternative solution to relying on energy imports, but there is significant concern over the safety of this option after the 2011 Fukushima Daiichi nuclear disaster.2,3 The Japanese government faces the difficult task of reconciling public opinion towards nuclear energy with the reality of being a country that relies heavily on imports.2,3,9 Research into alternative methods of energy production has increased, as has the significance of environmental policy implementation in Japan. The Fukushima Daiichi nuclear disaster has understandably swayed public perception away from the use nuclear power.2,3 The Fukushima disaster was caused by a magnitude 9.0 earthquake, and subsequent tsunami off the coast of Honshu Island.2 This led to the full meltdown of three nuclear reactors, the loss of 17.3% of Japan’s total electricity capacity, and around 20,000 dead or missing.2 Nuclear power in Japan must be considered in the context of a country attempting to break away from its dependency on other nations for its energy. Immense import expenditures also hurt its economy.3 Statistically, nuclear power is safer than other means of electricity generation,3 and it may be in Japan’s best interests to continue investing in nuclear power. Despite currently having only two operational reactors, the Japanese government indicates that it will shift focus away from nuclear power and concentrate on coal and liquid natural gas (LNG).1,2,9 Scaling back nuclear power without fully abandoning it and focusing on domestic energy production seems to be a healthy and likely compromise. Figure 2. Diagram of the Fukushima Nuclear Power Plant accidents. The Fukushima Nuclear Power Plant disaster occurred as a result of a magnitude 9.0 earthquake. This resulted in the full meltdown of three nuclear reactors. Click on each icon near the reactor numbers to read the damages sustained to each reactor. Figure 3. 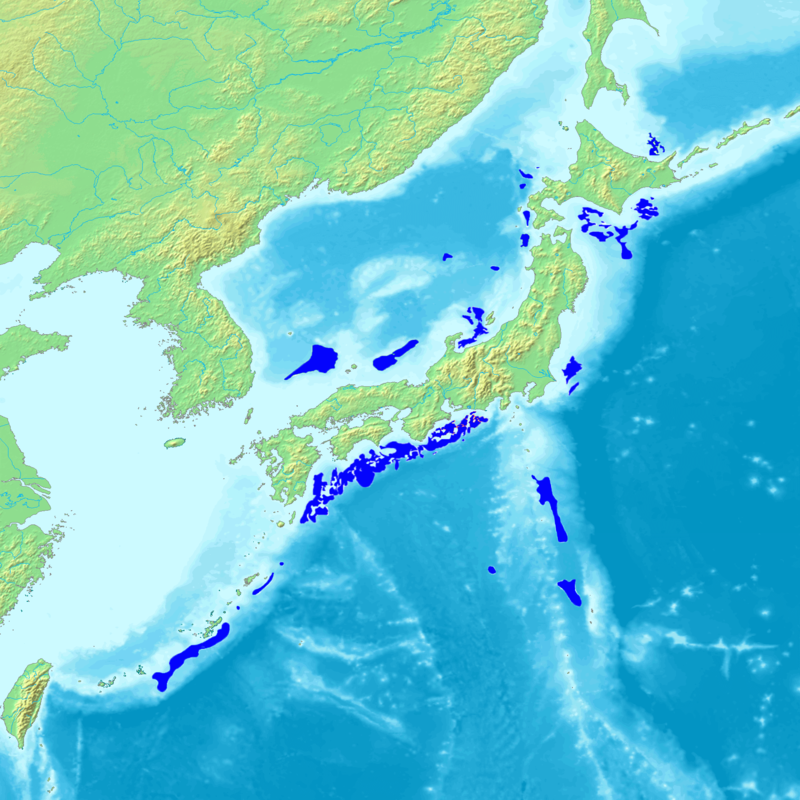 Methane hydrate located around Japan’s islands. Courtesy of Jakounezumi, 2016, Wikimedia Commons. CC BY 3.0. Figure 4. Japan Electricity Generation by Source in 2015. Data from the International Energy Agency, 2015. Public Domain. Japan is effective at addressing problems, but they have not had the same success when it comes to preventing problems. The proportion of lung cancer in Japan has slowly been increasing since 1993, but deaths caused by lung cancer have decreased since 1996.5 This is a trend with other types of cancer in the country, where there is a noticeable increase in incidence and decrease in mortality.5 Although the decrease in mortality is laudable and can be attributed to improved detection and treatment, the increase in incidence can be attributed to a failure to properly address risk factors that lead to cancer.5 The Japanese government instituted the Basic Plan to Promote Cancer Control Programs in 2007, but it has not had a statistically significant impact on the decrease in incidence rates.5 The same can be said of their approach to environmental policy, which is why it will be important for the country to take more preventative steps so that they are as prepared as possible for any future challenges. Hayashi, M. & Hughes, L. (2013). The policy responses to the Fukushima nuclear accident and their effect on Japanese energy security. Energy Policy, 59:86-101. Hong, S., et al. (2013). 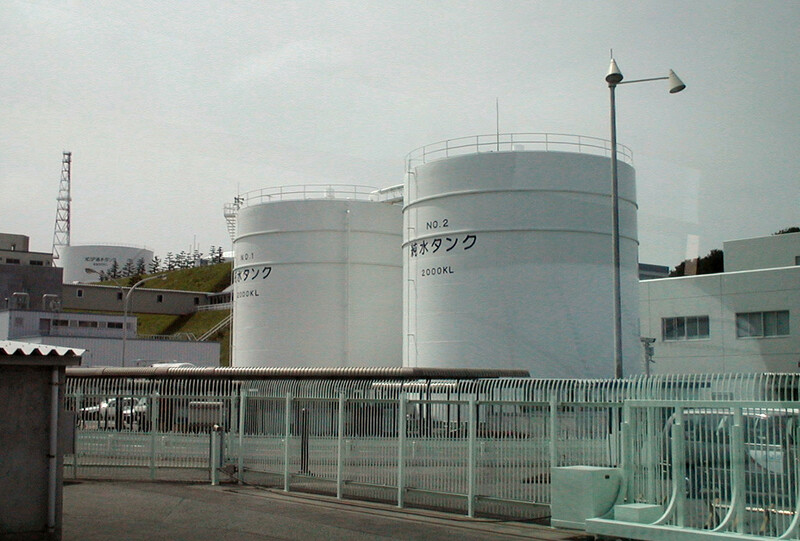 Evaluating options for the future energy mix of Japan after the Fukushima nuclear crisis. Energy Policy, 56:418-424. Katanoda, K., et al. (2013). An updated report of the trends in cancer incidence and mortality in Japan. Japanese Journal of Clinical Oncology, 43(5):492-507. Puppim de Oliveira, J.A., (2009). The implementation of climate change related policies at the subnational level: An analysis of three countries. Habitat International, 33(3):253-259. Yoshida, A., et al. (2009). Material flow analysis of used personal computers in Japan. Waste Management, 29(5):1602-1614.
International Energy Agency. (2015). [Data for Japan energy consumption in 2015]. Retrieved from https://www.iea.org/statistics/statisticssearch/report/?country=JAPAN&product=ElectricityandHeat&year=2015. Jakounezumi. (2016). [Map of methane hydrate around Japan islands]. Retrieved from Wikimedia Commons. CC BY 3.0. Sodacan. (2011). [Diagram of the Fukushima Nuclear Power Plant accidents]. Retrieved from Wikimedia Commons. CC BY 3.0. Takuo, Kawamoto. (1999). [Photograph of the Fukushima Nuclear Power Plant]. Retrieved from Wikimedia Commons. CC BY 2.0.